My Kind of Tool Box! When it comes to high fashion, as much as it can be very classic and couture, it can also be very alternative to say the least. 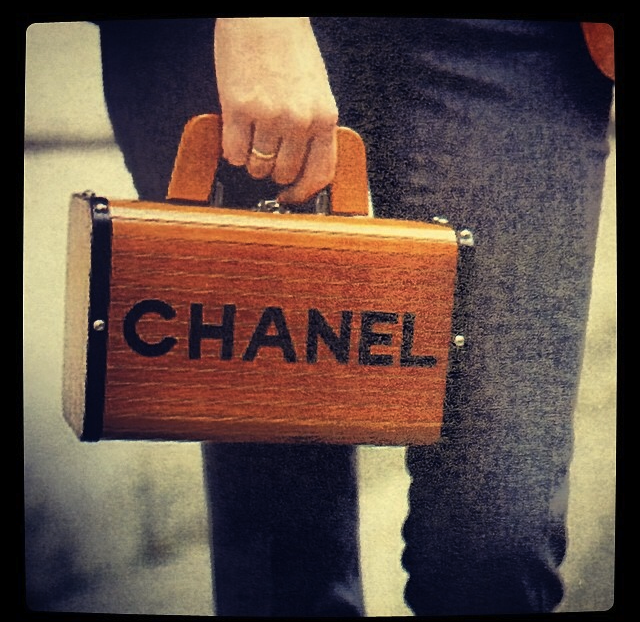 Ordinarily, I wouldn’t walk down the street with a toolbox, but a Chanel toolbox inspired bag; why not! Its different thats for sure and being rather simple yet bold, it certainly is a statement piece, I’d like to rock! #DIY Fashion at its Finest! Unique Vision: D&G’s One of a Kind Sunglasses! Inspired by ancient traditions and the Sicilian Cart, Domenico Dolce and Stefano Gabbana have created a special Sicilian Carretto eyewear collection. With only 100 numbered pieces, the mixture of both optical and sun glasses have been individually crafted by hand; representing the definition of “One of a Kind”; as no two glasses have been decorated the same – making each one completely unique! Made from canaletto walnut, each frame has been delicately hand-painted with images, symbols and iconography of Sicilian folk culture and history of the Italian island’s famous artistic mode of transport; the Sicilian Cart! Just like the original Sicilian Carretto, every one of the 100 limited edition pieces in the special eyewear collection, reflects Sicily’s tradition and culture through the ample use of of bright colours, multiple layers of paint, Carretto motifs and a great attention to detail! Personally, I think this is amazing! Dolce and Gabbana have out done themselves in terms of creative inspiration, but on this occasion I have to compliment the artists/decorators for the precision, time consumption and delicate craftsmanship. The results are truly beautiful. I only wish I could afford a pair and be one of the lucky 100! The pieces from this special eyewear collection are definitely collectable pieces, worth treasuring. Like any high-end limited edition fashion piece, I’m sure these glasses will increase in value and be considered a stylish investment! Confessions of a market junkie! Coming from Brazil where the merchandise is far less authentic, I went a little crazy when I got to Peru. From traditional stripped gringo trousers, the cutest fabric backpacks, alpaca jumpers, blankets, scarfs and socks to pretty patterned purses, quirky leather handbags and funky footwear; I’ve become obsessed. I mean how can I not? Everything is so awesome. The bright colours. 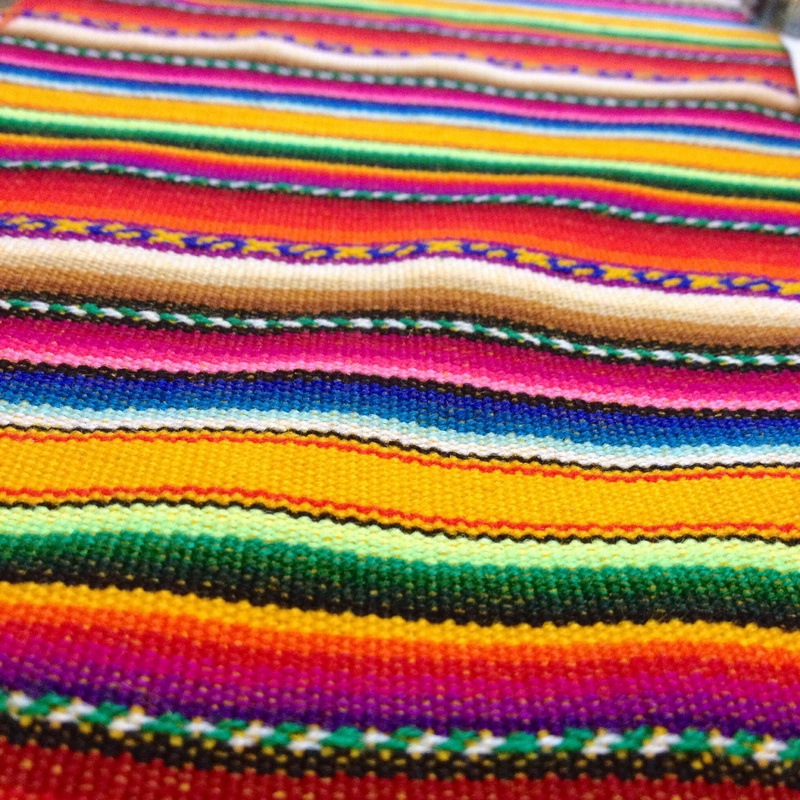 The cool textiles. The unbelievably soft baby lama apparel. The unique patterns. The authentic essence. I love it all and I can not get enough. So I’ve gone passed denial and reached acceptance now, because since landing in Peru I haven’t managed to walk through a single textiles market and not buy a thing. After holding back my shopping addiction for 10 weeks, I’ve well and truly had a relapse- now I have no control. So yes, I’ve become a market junkie. I’m not quite sure why or how I’ve gone back to embracing my inner shopaholic; it’s not like I’ve been able to walk into Zara, Topshop or Selfridges in the past 3 months. Nevertheless, I now have two pieces of extra luggage filled with South American goodies and I can’t wait to get home and utilise them all. I’m actually quite looking forward to summer in the UK. With less than 3 weeks to go; bring it on!